According to Buddhism, Bodhisattva is a Sanskrit term for the one who is motivated by great compassion that has generated Bodhicitta, which is an unprompted desire to attain Buddhahood for the benefit of conscious beings. This excellent sculpture wears a rich turban and has a necklace and a string of amulets. Strapped sandals can be seen on the feet. 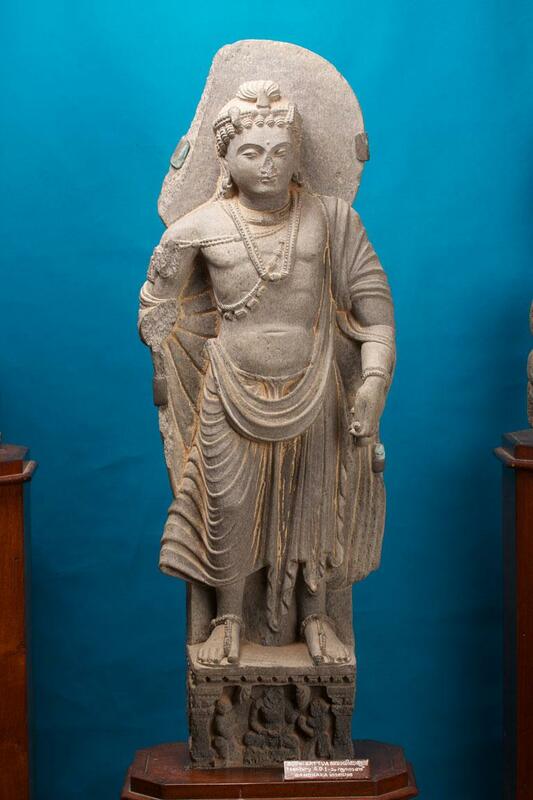 The front side of the pedestal has the figure of a seated image (devotee with attendants).